Transport Minister Shane Ross’s controversial bill to overhaul the appointment of judges is a “dog’s dinner” and needs significant work, if it is to be viable, Attorney General Seamus Woulfe has said. Mr Woulfe said the bill — which was the cause of a major row at the Cabinet, earlier this week — is in a poor state, because of amendments made by opposition TDs at committee stage. Mr Woulfe said that many of the amendments made by the opposition were “contradictory, inconsistent, and unconstitutional”. “Among a whole myriad of amendments, which they made, which make the bill a complete dog’s dinner, at the moment, because a number of the amendments are contradictory, inconsistent, and unconstitutional,” he said. Tensions are escalating within the Cabinet at the slow progress of the bill, despite it being in the Programme for Government and despite a commitment from Taoiseach Leo Varadkar that it would be fast-tracked. As a result of the amendments, Mr Woulfe indicated that Mr Ross’s demand that the bill should be introduced to the Dáil next week is very unlikely to be met. “Therefore,” Mr Woulfe said, “it makes it a challenge to get the bill to report stage, very soon, and tidy up all that. 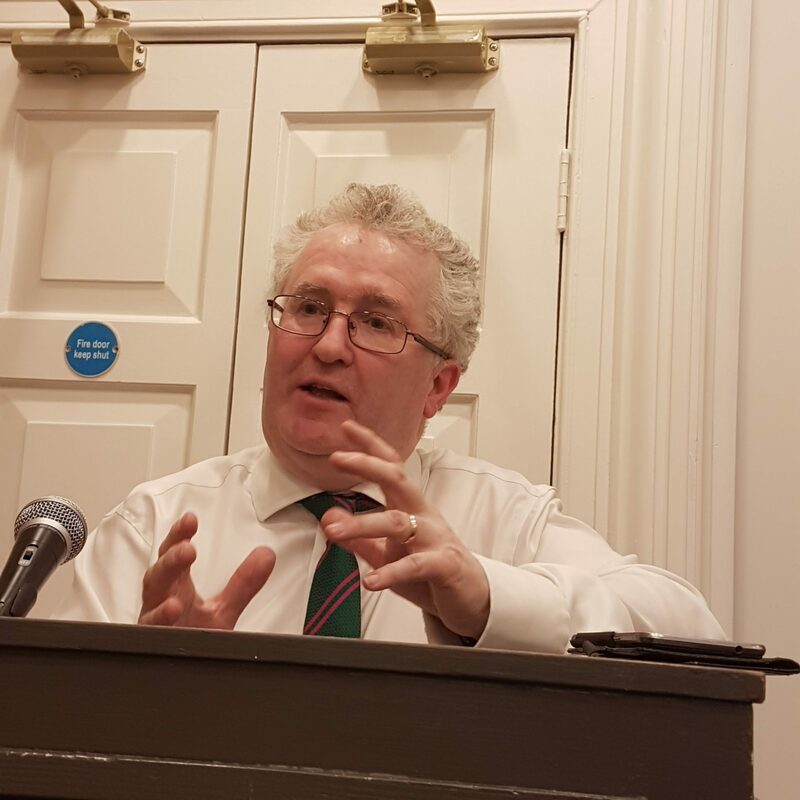 At an event for the Association of European Journalists, Mr Woulfe talked about the role of the attorney general and how, traditionally, it has played an important role in the selection of judges. However, at committee stage, opposition TDs voted to remove the attorney general from the process, which Mr Woulfe described as “an absolutely crazy thing to do”. “The attorney has a role in judicial appointments, as being a link person with the bar and knowing the people, knowing the candidates and the judges. Under the new Judicial Appointments Bill, the opposition decided to abolish me at committee stage, by 5-3, to knock the attorney out. Widely thought, not just because it is me, to be an absolutely crazy thing to do, down in the legal system,” he said. “Because, hopefully, the AG is a good link person, and knows something about the candidates. But 5-3 went the votes, including my good friend, Jim O’Callaghan, who voted, along with Clare Daly and Mick Wallace and two others, against the three Government people,” Mr Woulfe said. 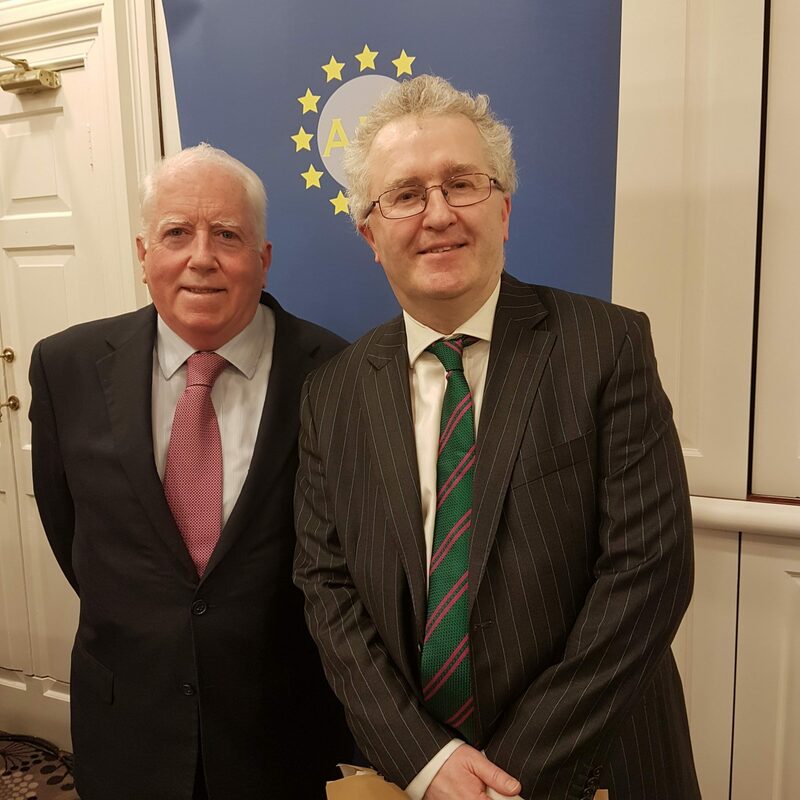 Attorney General Seamus Woulfe SC (right) with AEJ Chairman, Richard Moore. Attorney General Seamus Woulfe addressing members.